So by this point you’ve probably thought we’ve given up on this blog. I can hear you now: “They haven’t blogged since March. Can they even call themselves burger bloggers anymore?” I get it. The same thoughts have crossed our minds. And honestly, we don’t really have an excuse for our lack of posts or for leaving you on the edge of your seat as you patiently wait for our follow-up post on Crave Real Burgers. All we can say is that sometimes we like to just enjoy our burgers for the sake of enjoying them and not because we have to write a review. This blog was always meant to be fun, and not something we felt obligated to do. That being said, we still love writing burger reviews and plan on continuing to post. We took a break from the blog, but we are back and excited to share with you what we’ve been busy eating over the past 6 months. For those of you new to this blog, let me catch you up. 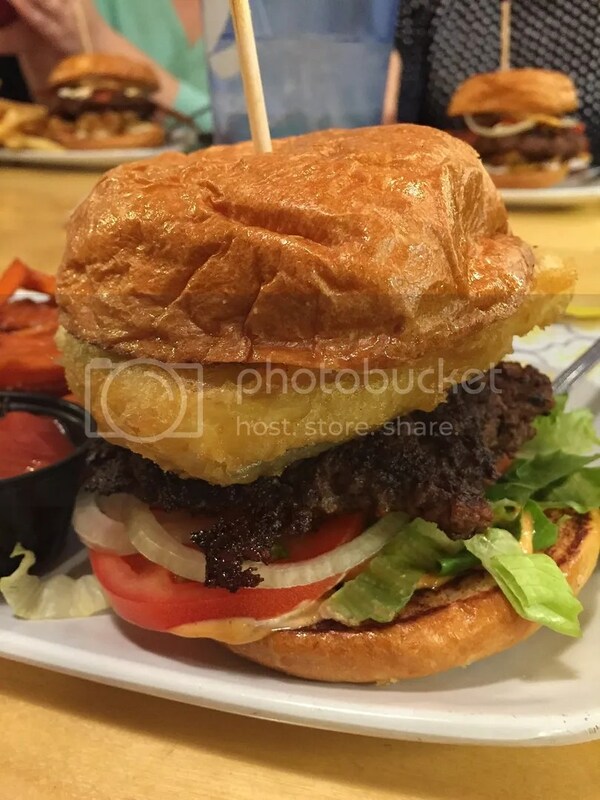 Last post, Kate discussed the burger that made her fall in love with burgers- The Popper from Crave Real Burgers in Colorado. 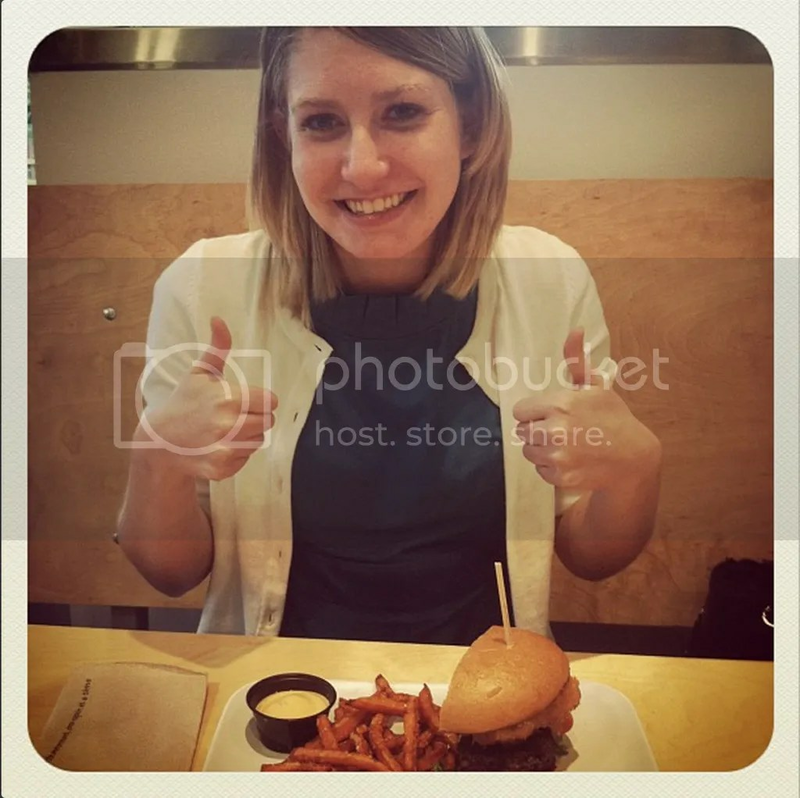 She had dreamed about this burger for the last 2.5 years, working it into every day conversation with everyone she met. Kate was reunited with this burger back in March, and we are here today to do an official joint review of Crave Real Burgers. Was it all Kate remembered it to be?? I returned to Colorado in March to be reunited with Crave. 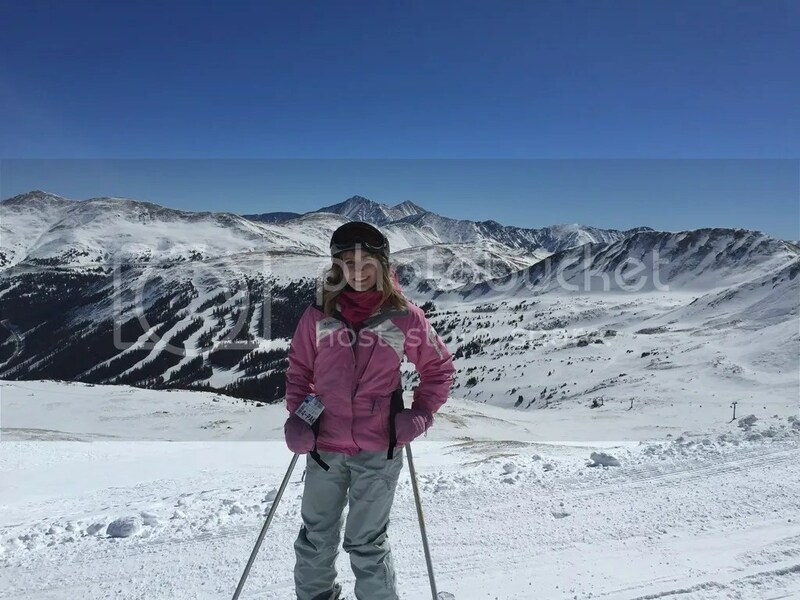 It was such a fun trip because it was the first time I had returned to Colorado since I lived out there back in 2012. I have several friends I met that summer that still live out there so it was so much fun to see them, ski in the Rockies, tour a new brewery, and of course-to be reunited with the burger that made me fall in love with burgers. So here it is, my moment of truth: Was Crave Real Burger all that I remembered it to be? The answer: yes!….and no. I really wish I could write a rave review about how it was everything I had been dreaming about for the past 3 years. But what kind of burger reviewer would I be if I didn’t tell you the truth? I ordered 2 burgers: The Popper (a burger topped with beer battered cream cheese and jalapeños, lettuce, tomato, onion, chipotle mayo and avocado), and Love Stinks (a burger topped with roasted garlic cream cheese, more garlic, onions, roasted red pepper, and red pepper aioli). I split the burgers with a friend so we each got a half of each type of burger. Both were delicious, but I still enjoyed The Popper best. Both burgers were extremely messy, but I have no problem with that! They were full of so much flavor and personality. I loved the contrast of flavors and textures on The Popper. I kind of wish I hadn’t tried two burgers that had cream cheese on them only because they were both very rich, but it’s not every day I get to indulge in cream cheese on a burger. While my experience was still one of the best burger experiences I’ve had, I feel like I had a different perspective this time than the first time I had Crave (which makes sense because I’ve had A LOT of burgers in the past 3 years). Remember how I’ve said that The Pharmacy in Nashville relies too much on their toppings to make the burger good? Crave might be guilty of the same crime. Take away all the creative toppings, and the patty itself is pretty mediocre- maybe even a bit on the dry side. But let’s be honest, I think we all knew there was no way this burger could be as good as I remembered it to be. I had kind of put this burger on a pedestal. In conclusion, Crave makes some of the most creative burgers I’ve tried and they are phenomenal, I will definitely make a point to go there every time I visit Colorado. Is it still my favorite burger ever? As far as gourmet burgers are concerned, yes. But I might argue that Gabby’s in Nashville has a more elite patty. A brief interjection, if I may. Obviously Crave Burgers has a major historical connection with this site and a special place in Kate’s heart, so I won’t steal the spotlight for too long. 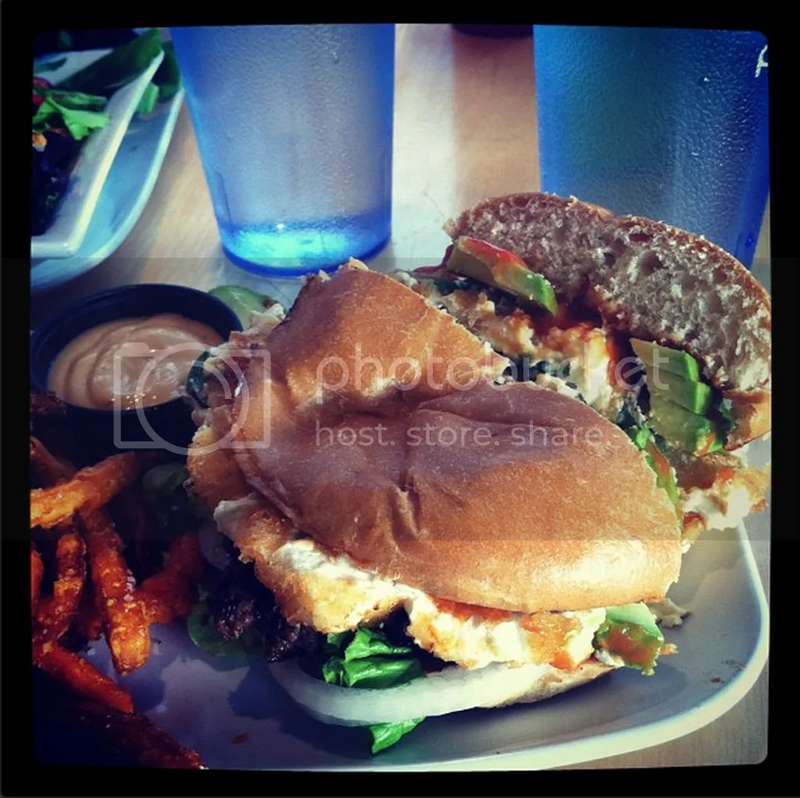 I’d just like to provide some support to Kate’s review here – Crave makes a fine burger. You see, I’ve been to Crave in Colorado Springs as well. No, not with Kate, so this isn’t quite the same as one of our more traditional joint-reviews. 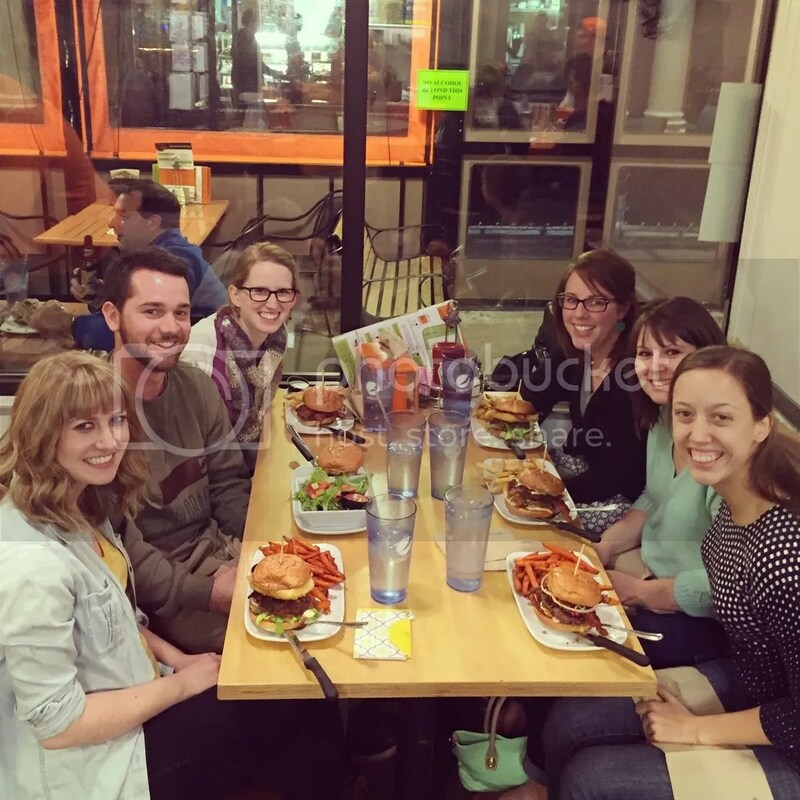 Luckily, I have friends in Colorado Springs too – what can I say, Kate and I… uhh… hang with the right cohorts – so I stopped off to taste the burger I had heard so much about. I was worried; I had been hearing about this burger for years and I was afraid it would not pay off, like some kind of digestive Niagara Falls (sorry, National Parks fans). But Crave delivered, and not in a Jimmy Johns way. I opted for the Campfire, a buffalo patty topped with raspberry bbq sauce, crispy poblanos, pepper jack, and coffee-dusted onion straws. What can I say, the close proximity to the Great Plains made me feel like a cowboy. But this burger was anything but plain (get it?). The raspberry gave the BBQ a unique edge that I loved, and the peppers and coffee grounds on the onion straws gave the burger a perfect smokiness. Just like a campfire. Combine that with a hearty patty and a soft bun, and I was in heaven. Kate, I’m sorry I ever doubted you. Happy National Cheeseburger Day, everyone! Go eat a burger this weekend! 2.5 years ago I fell in love. With a burger. It was love at first bite. We spent the summer together in Colorado. It was wonderful and delicious and perfect, but eventually we had to go our separate ways. Some might say it was just a summer fling. A mountain top experience (literally). But was it? If you are reading this and have had a conversation with me in the last 2.5 years, you have more than likely heard about this burger. I STILL dream about this burger. I have daydreamed about spontaneously buying a plane ticket and flying to Colorado for dinner just to eat this burger. When you are in love, you do crazy things. It’s possible that this blog would not even exist if it weren’t for this burger- it’s the burger that made me fall in love with burgers. I have alluded to it on the blog before, but haven’t fully discussed it. I wanted to wait for the right opportunity. Well, that opportunity is now, because a week from today, I am returning to Colorado and will be reunited with my favorite burger- The Popper from Crave Real Burgers. So what is The Popper? Beer battered FRIED cream cheese and jalapeños, lettuce, tomato, onion, chipotle mayo, and avocado topped on a delicious local burger. My mouth is watering just thinking about it. This is just one of the many creative burgers Crave offers. Not only are the burgers delicious, but they also have incredible (spiked) milkshakes. I went to Crave on my 22nd birthday and got the Grasshopper spiked milkshake. Vanilla ice cream, Oreos, chocolate syrup, mint syrup, crème de menthe liqueur and crème de cacao liqueur. Perfection. 7 days. 7 days until I am reunited with Crave Burger. I’m excited to try The Popper again, and hopefully try another one of their burgers as well. Maybe the Colorado burger? Shredded lamb, poblanos, onions, pepper jack, avocado, chipotle mayo and tomato on a burger. Or maybe the Love Stinks burger? Imagine roasted garlic cream cheese, more garlic, onions, roasted red pepper, and red pepper aioli all topped on a burger. I’m hoping I’m not disappointed. I’m hoping it wasn’t just another summer fling. Stay tuned for Part 2 of this review! Kevin and I will write a full review of Crave Real Burger discussing expectations vs reality when I return from Colorado, as well as some other Colorado burger reviews. I plan on trying several burger joints while I’m in Denver!